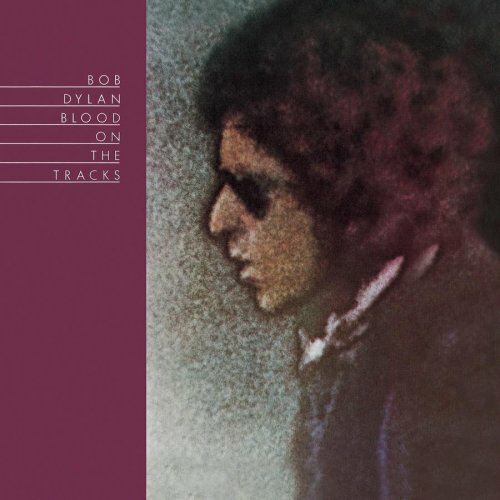 Bob Dylan started recording Blood On The Tracks September 16, 1974. The event needs to be acknowledged. When Dylan began work at A&R one Monday afternoon in September he seemed unusually keen to get on with the recording process. The songs themselves were no more than 2 months old, and he was still excited by the new approach to language he had uncovere. Dylan arrived at Columbia Records’ A&R Recording Studios in New York City on September 16, 1974, where it was soon realized that he was taking a “spontaneous” approach to recording. The session engineer at the time, Phil Ramone, later said that he would “go from one song to another like a medley. Sometimes he will have several bars, and in the next version, he will change his mind about how many bars there should be in between a verse. Or eliminate a verse. Or add a chorus when you don’t expect”. Eric Weissberg and his band, Deliverance, originally recruited as session men, were rejected after two days of recording because they could not keep up with Dylan’s pace. Dylan retained bassist Tony Brown from the band, and soon added organist Paul Griffin (who had also worked on Highway 61 Revisited) and steel guitarist Buddy Cage. 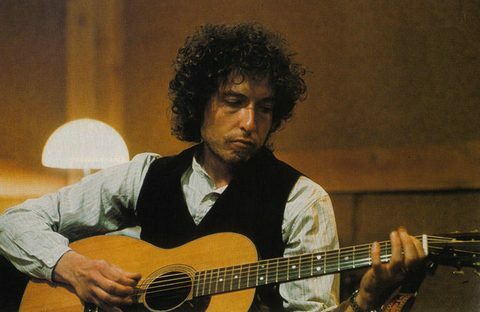 After ten days and four sessions with the current lineup, Dylan had finished recording and mixing, and, by November, had cut a test pressing on the album. Columbia soon began to prepare for the album’s imminent release, but, three months later, just before the scheduled launch, Dylan re-recorded several songs at the last minute, in Minneapolis’ Sound 80 Studios, utilizing local musicians organized by his brother, David Zimmerman. Even with this setback, Columbia managed to release Blood on the Tracks by January 17, 1975. September 16, 1974, 6 pm-midnight. I once read a book of Nathaniel Hawthorne’s letters to some girl, and they were extremely private and personal, and I didn’t feel there was any of myself in those letters, but I could identify with what he was saying. A lot of myself crosses over into my songs. I’ll write something and say to myself, I can change this, I can make this not so personal, and at other times I’ll say, I think I’ll leave this on a personal level, and if somebody wants to peek at it and make up their own minds about what kind of character I am, that’s up to them. Other times I might say, well, it’s too personal, I think I’ll turn the corner on it, because why do I want somebody thinking about what I’m thinking about, especially if it’s not to their benefit. The one challenge left now was to see if he could record this epic fifteen-verse narrative with a similar minimum of fuss. Which it appears he did. And again it came first. On day one of the sessions at the old Studio A in New York (now known as A&R Studios) – before the band called up to lend a hand had even arrived – Dylan had cut the song in a single take, making it the first song to be assigned to the album. Nor did he feel throughout the New York sessions the slightest need to return to the song. The one song cut on the sixteenth with the sound of deliverance was one of those prototypical blues tunes Dylan had been playing at the afternoon session. “Call Letter Blues” , when released on “The Bootleg Series”, took most fans by surprise. Rather than being a previously unknown song in it’s own right, it was in fact “Meet Me In The Morning” with an alternate set of lyrics. If you’ve heard both versions [of ‘Idiot Wind’], you realize, of course, that there could be a myriad of verses for the thing. It doesn’t stop… Where do you end?… It’s something that could be a work continually in progress. This version suggest he quickly abandoned any idea of putting a band behind the song/s. A second guitar (Weissberg’s?) picks out the parts of the melody Dylan’s scratchy rhythm has left unsaid, while Tony Brown’s bass underpins the clack-clack of the singer’s jacket-buttons. But something ain’t right. Weissberg recalled how ‘Bob … seemed a bit ill at ease in the studio, as though he wanted to get it over with.’ Having hurried through the song, he knew he’d have to return to it.